A rare tree of this age and species in the Wellington area. This may be the single surviving tree propagated from seed by C. M. Smith (former Director of the Botany Division- DSIR). The following is quoted from the article written by Smith 'Notes on Seeds and Seeding of Metasequoia glyptostroboides' NZ Journal of Forestry 6(2) 1950 pp. 145-148. Smith also send seed to A. W. Wastney in Nelson. Both men germinated their seeds in October 1949. Smith was successful in cultivating only one seedling and Wastney was fortunate enough to obtain three seedlings from his efforts. (see Nelson tree NNR/0691). 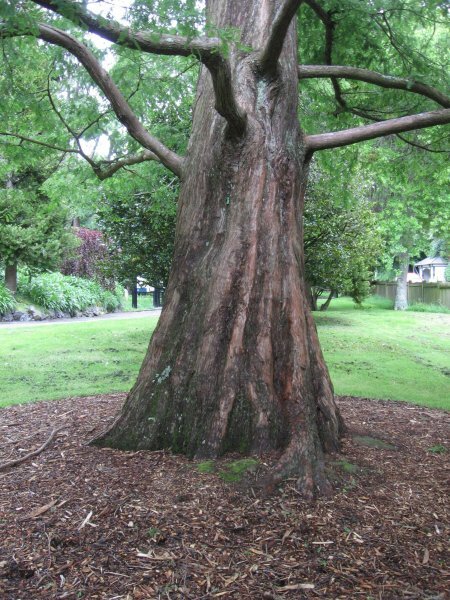 No record has been found to establish where Smith planted his tree but he did have an association with the Wellington Botanical Gardens and it is assumed he may have planted it here. 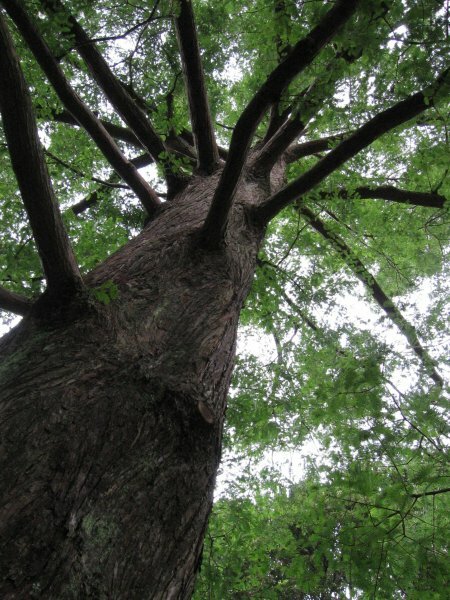 The tree would have been of sufficient size to have been planted out in the spring of 1951 (Cadwallader 2010). A tree of small stature most probably due to local wind conditions. Measurements taken at IUFRO standard 1.3m for the national survey. In very good health 2009. 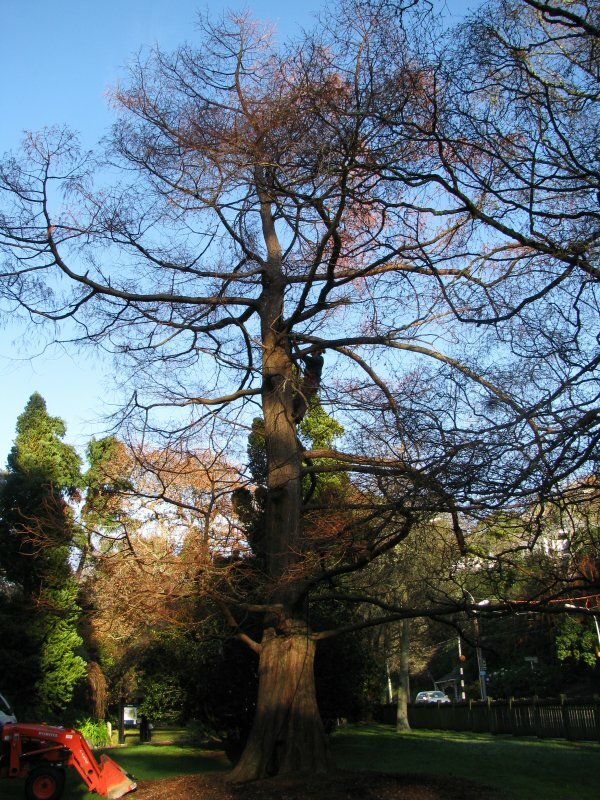 The increasing numbers of native kaka in the Wellington area are stripping bark from this and other significant trees in the gardens (2010). A tree somewhat modified by the windy conditions it growns in. 08 Jun 2009 Jones, J. 25 m in from West Entrance off Glenmore Street.